Activities and operations of the Gülen Movement in the US and Turkey have recently been scrutinized by a number of American media outlets which question the movement's motives, opacity and why the US government is providing refuge to Fethullah Gülen, who is currently facing numerous charges including treason and possibly extradition. According to Citywatch which is a Los Angeles based website, the Gülen Movement has a secret agenda despite the fact that they describe themselves as a transformational and social movement. They compare it to the Catholic secret society, Opus Dei and claim that the movement is not solely funded by its members but is actually funded by American tax dollars since 1999 when Fethullah Gülen, the leader of the movement came to the US in self-imposed exile. Here, he has established over 147 charter schools with tens of thousands of students and has brought hundreds of teachers and organizational leaders from Turkey to contribute to the movement's activities. It is claimed that the movement has a net income of about $500 million per year from taxpayer money while each school has between 300 - 800 students also financed by American tax money at about $7,000 per student. Citywatch also touched upon the fact that there is very little media coverage of the Gülen Movement, which they accuse of "bleeding American public schools and filching the money for their own purposes, from the pockets of American tax payers." On the other hand, the News Outlet, a student journalism lab headquartered at Youngstown State University has criticized the Gülen Movement for its opaque nature after they attempted to contact the board members of Gülenist charter schools in Ohio. They question the fact that almost all board members are of Turkish background and claim many of these board members are new to the US unlike traditional American public school board members who cannot be elected without being registered voters. They highlight the fact that Horizon and Noble Academies in Ohio alone received $49,775,180 in taxpayer dollars. Interns at the News Outlet have attempted to get in touch with 20 board members at Concept schools but only received a few responses as only four of them provided partial answers and only two responded to all questions relating to citizenship, how they were elected to the board and experiences with the management company while three people gave the same response: "Horizon Science Academies and Concept Schools were initiated by a few Turkish-American educators who wanted to contribute, in their own capacity and expertise, to the solution of the problem that U.S. was falling behind in STEM education," the statement reads. "Though an admittedly small group, Turkish Americans are like many other immigrant groups — they come from different backgrounds, but share a common experience and a common goal of contributing to their communities." One of the board members in a phone interview has claimed most staff in the charter schools are from Turkey because science and math dedication is apparently much higher than here in average American schools and there is a need for them to be here. Others have refused to respond to the questions on the grounds that they were "too personal" and have claimed they are not allowed to talk. Some schools of the movement are currently facing closure in Turkey and the US. Recently, two charter schools affiliated with the Gülen Movement in Los Angeles have been ordered to be shut down while four schools in the Turkish city of Bolu were closed by municipal authorities last week. Their schools have also faced closure in Russia and Azerbaijan in the past for numerous reasons while In June, the Federal Bureau of Investigation has raided 19 charter schools affiliated with the Gülen Movement in Ohio, Indiana and Illinois. 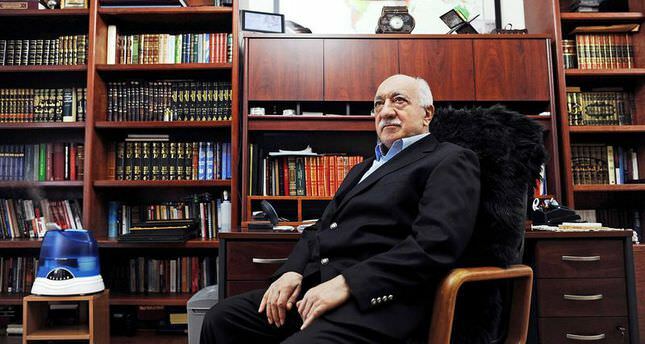 Fethullah Gülen, who currently lives in self-imposed exile in Pennsylvania, leads the Gülen Movement. He is accused of orchestrating the Dec. 17 coup attempt and infiltrating Turkish state institutions through Gülenist agents.